AJ & RG Barber Ltd, which has been producing award-winning West Country cheddars on its Somerset family farm for more than six generations required a hygienic floor for an extension to its drying plant. 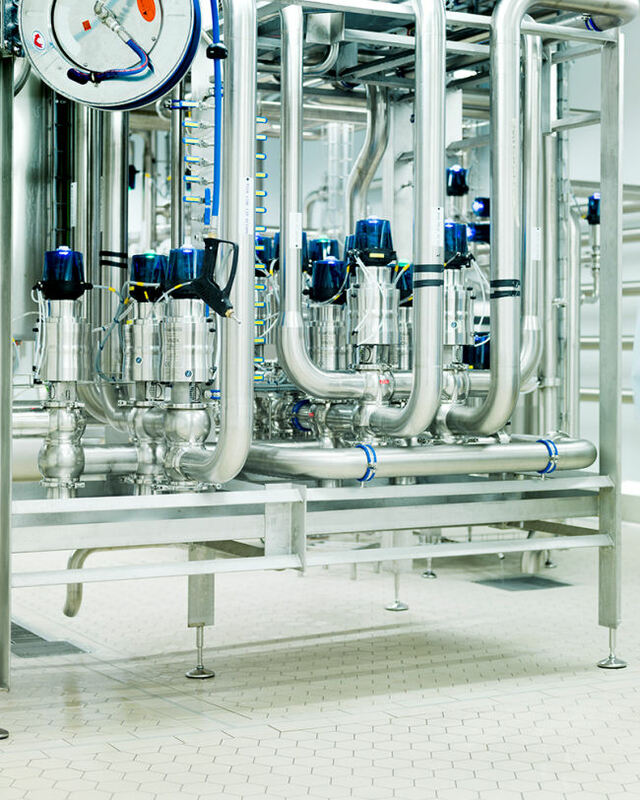 Kemtile was contracted to install its unique Kagetec ceramic floor tiling system at the Somerset plant. 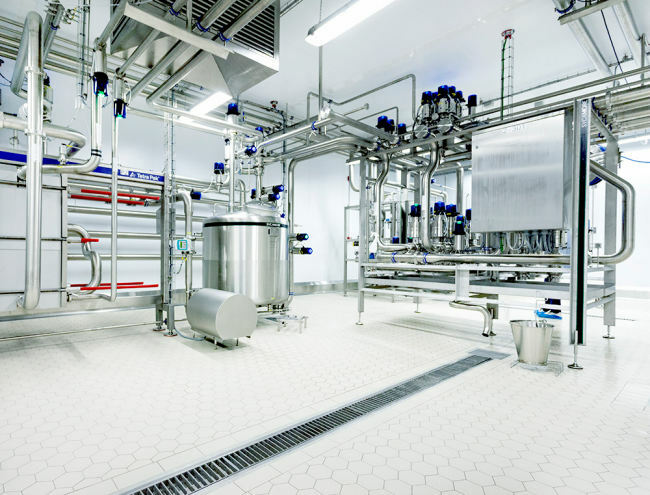 Kemtile was awarded the project because AJ amp; RG Barber Ltd's Engineering team had previously worked with Kemtile when it installed hygienic food grade floors and drainage on other dairy sites. Kemtile installed Kagetec GFK, which comprises an 18mm thick, fully vitrified porcelain ceramic hexagonal floor tile installed onto a cement based floor screed laid to falls, on top of which a special plastic mesh is placed and embedded into Kagetec epoxy adhesive. The tiles are then placed on top of the screed, mesh and adhesive, and are ultrasonically vibrated into position. This unique system of installation eliminates any air voids under the tiles providing an extremely even and robust, hygienic tiled floor surface. Once installed, the tiles were machine grouted to ensure they were completely encased by the special Kagetec low viscosity resin, providing one of the most durable floors available, especially in areas subject to thermal shock or corrosive spillages. The installation involved the supply and fitting of new Wiedemann IKR heavy duty stainless steel drainage channel along with stainless steel kerbs to the perimeter of the area, which complemented the unique Kagetec GFK ceramic floor tiling system used for the floor. Julian Ing, Head of Engineering at AJ & RG Barber Ltd, said: "The Barber family has committed to making the finest farmhouse cheddar for nearly two centuries and to do so we need to best facilities and ingredients. 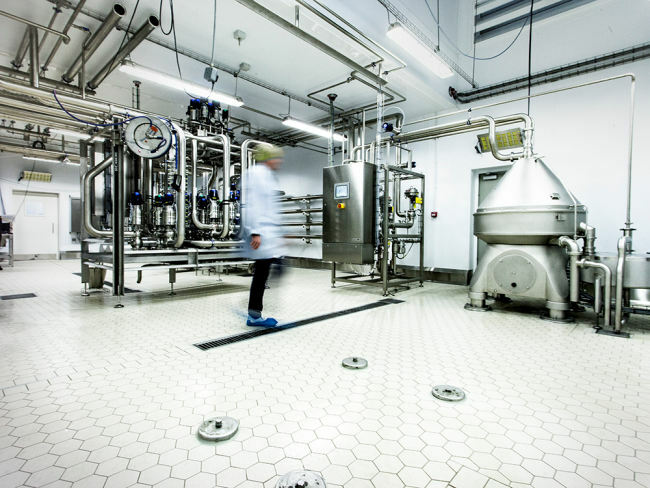 With such strong credentials in the dairy sector, Kemtile was an obvious choice of hygienic flooring partner for the expansion of our production facility." Kemtile's David Priest said: "AJ & RG Barber Ltd required a tiled flooring solution able to withstand the rigors of a busy dairy manufacturing environment, including the ability to withstand spillages from lactic acid, which will eventually erode concrete floors unless they are adequately protected by a chemically resistant finish such as Kagetec GFK." "The specification and installation of our Kagetec GFK ceramic tiling system complemented by high quality stainless steel drainage provides a flooring solution to support Barber's growth and expansion for generations to come." "This project enabled us to showcase our product range, expertise and craftsmanship qualities that we share with AJ & RG Barber Ltd. It goes without saying that we were delighted to support the company's strategic growth with this installation."